"Mudbox is Quick to Learn Slim Sculpting Package"
Mudbox is very easy for students to pick up, especially if they are familiar with other Autodesk products. If you have a Digital Tablet, sculpting with this software can start of relatively quickly compared to other 3D sculpting packages. Miudbox can handle dense topology and even do a decent job of running a polygon count reduction. As an introduction to sculpting, the pick up and play speed for Mudbox is unmatched. Mudbox while fast to get the basics down, does not have as many of the full features of other packages like ZBrush. If you want to sculpt in details and forms, then this software fulfills your needs. If you want to do Hard Surface modeling, then you might struggle to use this software. The selection modes take some getting used to as well. The community around Mudbox is also smaller, because it is not as widely used as other packages, at least in my experience. Go with the trial first and see what you can do with this package before making a purchasing decision. If you need to start from scratch than Mudbox would be the first choice to getting an artist into sculpting with little time and training. If you want all the bells and whistles go with ZBrush. Mudbox integrated to other Autodesk products with the Send to Maya, and Send to Max features. If you bundle this with other products you can get a good deal. "Good Alternative to ZBrush for High Poly Sculpting"
Autodesk's answer to ZBrush provides all the tools necessary to compete when it comes to creating high polygonal models. What it offered over ZBrush was also the ability to paint your maps on your meshes, later versions also provided some nice tools for correcting your topography so that areas of the mesh that were stretched a little too much would be more distributed. Mudbox is good but not as good as ZBrush which has better tools and just does the sculpting better, Mudbox isn't as well utilized among professionals as ZBrush is and when I first learned it, it wasn't as well documented. They've improved upon it in later versions but still could be better. If you want a good package for sculpting and painting its a good choice if you don't have access to ZBrush. The ability to both sculpt and paint within the program is time saving for your workflow not requiring you to utilize multiple programs to get the job done. "A Good Accomplice to ZBrush and the Rest of Your 3D Armoury"
Ease of use as well as the offering of a free copy with the use of a student version download of the software which I was able to benefit from. The software naturally combines really nicely with 3DS Max and Maya and it is nice from a 'neatness' point of view for me to have a workflow tied to one family of products. There is a large user community already and tutorials on Lynda in particular which helped get me up to speed. For me it lacks the delicacy of ZBrush even though the latter is harder to pick up initially and it is renowned for it's difficult user interface. UV Master and 3D Print plugins for ZBrush are superior and massive workflow aids for me as well. If you can afford the luxury of ZBrush I personally don't think you will look back. But that said, there are high merits for both in getting started with 3D sculpting. I have seen very little in all honesty though to suggest the work of sculptors in ZBrush produce work that is of any higher calibre than those using Mudbox. I am using 3D sculpting to create a high quality library of assets containing hairstyles, base heads, beards, and facial accessories. The end goal for these files is for full-colour 3D printing and as such this is an important requirement for me from this software. This was harder to achieve for me and as such I am from the group of people who started out in Mudbox but had to 'mature' and thus search farther afield. "Great organic modeling software and texture tool"
Although I am rather new to using Mudbox, I have really enjoyed it. It is a great tool for creating lifelike character models for use in software's such as Maya and other animation and rendering software's. As of now I have just been using it for creating rough human figures for use in representing my product designs, but I see myself using it more in the future. Some tools could be more well explained. As someone who has only recently started using the software, i tend to have a hard time finding where the necessary tools are. As with any modeling software, layout and placement of these tools is key to creating a better workflow. Its a great software to try out. Great for building character models and texturing, and is great at exporting to other software's such as Maya. As of now, it has been a useful tool for creating manikins to represent my product designs in use. I see myself having far more uses for this in the future. "One of the best sculpting tool"
This is one of the best sculpture softwares I've worked. It has a friendly, simple and intuitive interface. As textures, stamping part, they have not been defeated. It's just wonderful. One of its main advantages is the workflow with Maya, is perfect. You do not have problems with UVs and unwrap. I like the sensibiity of the tool in the model. The resolution of los poly is great and the use of the curves is understandable. I dona want all the errors and requirements you need to know to import to Mudbox. If you want to start the base mesh in other software.... that is the real problem. You need to prepare the base mesh very carefully. If you dona, it going to give you a real headache. The use of the Mudbox saves time and time is money, at least if you're using Maya. You not have to perform various processes for the model that you want in Maya. It helps me to realize complex organic models as animals, humans, rocks, etc. "Cool but not made for work purposes"
What I like about Mudbox is this 'clay' feeling where you sculpt your model very quickly. At Work, it can allow us to get a rough model before we rework it in Alias for example. It's hard to go deep into modelling with Mudbox, I would rather say it's a hobbie software, at least in industrial design it's not the most used software. I guess some people in Animation studios may use this because it's cool to model a weird face, etc, but when it comes to more "serious" things, it's pretty hard to get into it. "Mudbox is easy to understand and fast to learn"
Mudbox is a brilliant software for sculpting and texturing, The interface is easy to understand and fast to learn, It took me a couple of days to get the hang of it. It has a good amount of tools for a good sculpting, textures, projections and more. The max and maya export/ import connections are amazing and so useful .Specially when you are live texturing. Understanding layers and blending modes is also quite easy. My favorites: Normal map, displacement, vector displacement and relax tools. Easy to teach at every level of knowledge. Mudbox is good for simple models and textures but it lacks some tools other advanced programs had. Retopology tools are not as good or precise as i would like them to be and sometimes the program crashes. It's important to have a good video card or it can get slow and impossible to work. Never export the highest level of topology to 3ds max, it will be impossible to move and you will waste your time. Mudbox is a great tool for 3d artist, don't doubt to spend a couple of days learning how to use it. it's going to make your life so easy. Be careful with the amount of subdivision levels it can get messy. Painting specific details over a model is always faster and easier with mudbox than photoshop. I also use mudbox to teach collegue students about texturing , mapping and rendering. "Awesome tool for texturing detailing and good for sculpting"
The best product to create awesome detailed textures for an individual user, and the most simplified software but a very powerful production tool. The whole support of multiple tiles is very good for high resolution texturing. Ptex support is also an added advantage in the package. the transition between the autodesk softwares is very good if you have the production premium. It is on the rise and i would recommend every new user to start and give it a shot as it is the most simplest software to learn. Lacks dynamesh, which is a very dire requirement. Z brush has had it for years now, which is also one of the major shortfalls, as compared Z brush. Importing UVS gets complex in Mudbox, without the 'send to' feature which is unavailable if you don't have a production premium, or have an older version of other softwares. Its is the best software if you want to dive into sculpting and detailed texturing, as it is the most simple software out there but it cold be subjective, for freelancers and individual users its very good for print jobs, but not for a big studio. I would recommend MARI and Zbrush for a bigger studio and a smoother production pipeline. But the best for a start up artist. detailed texturing for products of print media and advertising and basic sculpting. 1. Easy to learn and easy to use for Maya users. I use Maya before learning Mudbox and it didn't take me much time to be able to use Mudbox. 2. Awesome at exporting maps. I really like the how the maps looks in Maya and Unity. I think Mudbox is doing a great job exporting. 3. Turntable Video. The sculpted character looks great in Mudbox then any other software and it's really helpful to be able to render out turntable videos from it. Great for portfolio and presentation. I don't think there's anything I dislike Mudbox so far. However, it will be great if the UV unwrap tool can be improved so I don't have to export it to Maya to detach UV. Also, I think it'll be awesome if I can have more options for the default texture so it's easier to view my character in different material. "good for texture painting, work seamless with maya. " I like the function that you can export a Photoshop painting from 3D view. Basically you can take a screen shot from 3D and send that back to photoshop to add on textures and fix seams. I used that for texturing my thesis film Kia Rex, worked perfectly. And You don't need a perfect UV, which is great. The psd layer support need to be stronger. It would be nice to take a screen shot from 3D and paint in photoshop freely with layers, and have those PSD layers available in Mudbox Layers. And mudbox seems not like Big brush size, both in sculpting and painting mode. I like be able to paint fine detail in mudbox, but from my experience, painting directly in Mudbox could be a pain. Great for texturing painting, work seamless with maya. The interface is very clear and easy to use compared to Zbrush. I used painting textures mostly. (I still use zbrush to sculpt. ) I use export PSD file from 3D view all the time and in this way I can paint exactly what I want to see in final render using photoshop tricks and brushes. "I've used Autodesk Mudbox for over 3 years on both personal and professional projects. " I like how easy it is to get started with sculpting. The interface is clean and simple, unlike other competing applications. Hard surface sculpting for non-organic shapes was difficult. No option to retopologize a mesh. Muxbox is a great tool for those wanting to start learning digital sculpting. It is easy to pick-up start making something from scratch. I would highly recommend using a Wacom tablet with pressure sensitivity for sculpting and texturing. If you are planning on using it for hard-surface, non-organic modeling, it may not currently live up to your expectations, but it is heading in the right direction. Because it doesn't have much in the way of mesh retopologizing, I would recommend using this in conjunction with an external retopology app if you plan on bringing your mudbox model back into a production environment. I used mudbox to build character models for animated movie productions, and mudbox made this process much faster than using Maya alone. "Great companion product that is poised to mature"
Mudbox began its life as Skymatter Mudbox which was an attempt to provide Maya users with organic sculpting tools in competition with platform mainstays such as Lightwave. Nearly a decade later, Mudbox works really well with all of the Autodesk suite and succeeds as a round tripping organic modeler for Maya and Max. The interface is much easier to learn then Zbrush and the ability to get useful content in and out of the application without a huge learning curve is high, which is a huge plus for the non-dedicated modeler. Creating blendshapes and detailed models using normal maps is pretty straight forward. I recommend Mudbox as a product for someone looking to do minor organic character modeling and needs to quickly get models ready for Autodesk products. It does not have the feature set of ZBrush and I'm not sure it will mature into a true alternative to that platform so take it for what it does great and embrace what it does well. Allows us to round trip models to create blendshapes quickly. "A great tool for Texturing and High Poly modeling." Has an intuitive interface and tools, is easy to know our polycount, the extract textures function is really helpful, if you create a low poly model with Maya or other software, you can sculpt it in Mudbox and you don't need to make a re-topology, is only about baked and export the level of detail you want. It´s clear how to use the paint tools. Filters like cavity are really useful. Is possible to change the pose of our model or use Mudbox to make a quickly skinning, I like the workflow between Mudbox and Maya. Mudbox need to update the painting tools and Layer maps to the PBR workflow. Don´t use the Automatic UV in Mudbox if you want to work with the UV in softwares like Photoshop, Procure to create de UV outside Mudbox. I use more time developing videogames and less time painting UV textures. "I mainly have been using Mudbox for texturing some of my projects." Mudbox is a very powerful tool for texturing and sculpting organic models. It is very intuitive and easy to use (it also comes with tutorials for begginers). It is not as cheap as other similar software, and for me it is not the best choice for sculpting. I recommend using Mudbox if you use more products from Autodesk and you need a texturing tool. Also, if you are looking for sculpting software I would recommend taking a look into Zbrush, and for texturing the 3D Coat software may be an interesting choice too (it is very used in the videogame industry and it is a very powerful tool for sculpting, texturing, doing retopology...). It is a fast tool for texturing 3D models. One of the benefits for me is that Mudbox is an Autodesk product and I usually work with 3D Studio Max, so the workflow beetwen the two is really nice. Mudbox is the kind of tool that gets small but useful updates on every release. This means you usually don't get game changing features in every release, unlike Maya or Max. However, it is still very useful since it can be very useful for animation or game development. Not being able to combine meshes doesn't improve the workflow. Mudbox is good for simple models and textures but it lacks some tools other advanced programs had. Limited options, mainly when it comes to brushes. The quality and effectiveness of Zbrush is better. The tool in Mudbox works great but needs improvement. The use of the Mudbox saves time and time is money, at least if you're using Maya. If you need something much more advanced then I would use it just as a base or as a start. 3D sculpting, and painting application for quick projects. Very good software for modelling and texturing and lighting. Little difficult for amateurs. Mudbox's retopology operations worked very well for models sculpted in Mudbox, and with a bit of effort Mudbox can be cajoled into retopologising imported or scanned models which sometimes is troublesome. Very good for sculpting and easy to use. I use it for modelling and texturing. I love that you can create designs digitally that look like they would have been made by hand, but come out with perfection. It is very helpful for those of us with the creative vision but the inability to put the vision into handmade sculpting and design. I dislike that Mudbox gets updated so frequently and that these updates continually require you to have certain software in place to be compatible with running the software. I would recommend that people try out Mudbox to see if it is the right design tool for them. I find that it may not be as user friendly as some others out there. People should use the free trial for Mudbox first before committing to buy the whole package. I am in a position of creating digital design features, although the phase we are in is more with research and design rather than in the implementation phase quite yet. "Is easy than I tought "
I love Mudbox interface. The way that it works is so intuitive for texturing and paiting. When I first use it I was concern about sculpting in 3D and I think is great. Bringing PSD elements to Mudbox is easy as it gets. Maya and Mudbox together is a great team of softwares to work it, the versatility of rewrite a file and be able to see the change make it a very effective. When I modify a 3D element in Maya and then need to update it Mudbox is crucial to me. I think retopology needs improvement. The quality and effectiveness of Zbrush is better. The tool in Mudbox works great but needs improvement. Brush size is also something that I find anyoing. I need to make sure that I have great detail. Paiting textures for molecules for MOA is one of the main things. We are also exploring the use of Mudbox into VR content specially for the medial purpose. "Excellent choice for Digital Sculpting"
Very easy to use and intuitive. Much more so than some other sculpting software like Zbrush. Hotkeys can be set up in a Maya/3DS Max fashion for easy use without having to learn new shortcuts for navigation, etc. Easier to learn than some other sculpting software such as Zbrush. Could have a few more advanced features, and can't handle as many polygons without slowdown as comparable software 'Zbrush' can. Not quite as advanced as Zbrush and is more taxing on the CPU which can lead to some slowdown at very high polygon counts, but totally makes up for it with ease of use, and intuitive controls and interface. Quick to learn, easy to use, a great choice for a digital sculpting tool. Polypainting is the main thing that i do in this software, is amazing, the use of layers and blending options is great., Sculpting is just great as any other software, here you can create tileable textures, and sculpt your characters, The use of Alphas, textures and shaders is amazing here, you can texture anything from scratch and then just click the send to max/maya to render the asset, or rigging or anything that you want. Export texture maps as psd to have more control over the layers. You can customize the way to move in the viewport just as you're in maya or 3dsmax Affordable price in the new subscribe option. You cant create something from scratch like zbrush and the zspheres, You cant buy a license, if you like the software and love how this works, well... you need to pay the year license or monthly, of course this is welcome too, because maybe the project isn't that long. Mudbox is a 3D sculpting and texturing software one of the Autodesk products. As the name is , this softwares you ability to sculpt models much faster. Mudbox is good if your new to modeling and sculpting. You can learn Mudbox in a few hours with the help of some tutorials. Medbox is definatly a good , but not that great when working with advanced models. Some times when it gets a little bit tricky with 3dsMax/Maya, you can just do the base mesh with basic topology, send the scene with reference images into Mudbox , When topology gets very messy, Mudbox retopolizing tool is the savior. Sending the mesh every now and then into Mudbox shows very clearly all the places where you have errors. Thus makes Mudbox easier to learn but not useful in a practical use. You can use Vector Displacements maps and Layering system which is quire useful. The software is completely out of date and not up to the other softwares in the market. The options are good , but not good enough if you looking for a long run. I would suggest to learn for more advanced sculpting softwares like Blender or ZBrush. The memory management in mudbox is quite high , depending in all the other softwares out there. it alright if you want to learn it. But if your planning to take it up as a professional I wouldn't recommend it. There is zBrush which is quite advanced that this. If you have both, you should already be forming an opinion. That is if you actually use them a bit. zBrush does more, costs less with the free & frequent upgrades, and is often maddening to use. Mudbox does some things better, like painting, but is missing some cool stuff that zBrush has. Since it comes with Autodesk there are chances you can get a bundle offer. But this software is not being used by artists and professionals anywhere. I had to learn it cause it was in my syllabus. Other than , it just a software out there. Limited options, mainly when it comes to brushes. No additional tools for things like posing. The extraction maps tool is easy to use but the results are not 100% accurate all the time so it might take a few tries until you get the result you're searching for. Lighting could use improving since the way to use it tends to feel very awkward and if you to take a nice and quick screenshot using Mudbox light and materials, you'll get weird looking results and sometimes they might not live up to your work once you move it to a different software. If you need a easy to use tool that offers great level of detail for sculpting and painting, Mudbox is your way to go but if you need something much more advanced then I would use it just as a base or as a start. 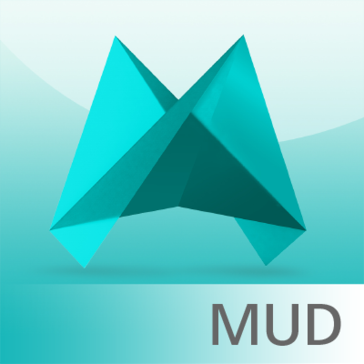 Mudbox is a program designed to model 3D like you're sculpting an object with clay but digitally; also it allows you texturing 3D object that were already made with the same Mudbox or some other program. I like the ease it gives you to work with the textured 3D objects. It is a perfect tool to solve the problem uvs cuts. Mudbox is an intuitive tool that does not confuse you with many menus; You can also configuar the way you want to work. Eventhough that that Mudbox is a tool for 3D modeling; is a program that personally I like that for 3D texturing for 3D modeling.Mudbox has many good tools, to model, but in my case not funconaba me, preferring to use another program to make my fine details of modeling and then import my objects to Mudbox to perform with finer textures tools. "I always find it most reliable, useful and handy tool for texturing." It is best for texturing. Very user friendly. Navigation is not a problem whether you come from Maya or 3DsMax environment. Can handle any kind of geometry (Organic, Hard surface, Architecture). Layering system is awesome and no need to go to photoshop. Painting tools are complete and can do any kind of texturing easily. (1) Switching between painting, sculpting and object selection. It should be like ZBrush. Means on main toolbar there should be buttons for these options. Any body can easily see before painting that what is on and what is off. (2) Flatten version should be like 2D viewport as UV window. Means if we are painting any object, it means it is selected and we can easily see its UV's from UV window. So there should be a same window for flatten view. Where some toggles to see the textures, Alphas, shading and UV wireframe overlay. I get out of the bundle of different odd tools and get all the production from one tool. I won't consume any extra time for learning the new tools and get familiarize with their navigation. No excuses for 3DsMax or Maya users. Got good 16bit and 32 bit hi quality textures. And made my projects awesome. "Good software, but to improve"
Mudbox is a good creative sculpting software, interoperability with other Autodesk tools thanks to the command "send to" making it easier to move between his software. Its strongest point is the interface layouts, it is very clean and tidy,, even the tools for sculpting as "stamp" and "stencil" are very easy to use and intuitive. Curve drawing, edge hardness and creasing supported it's very powerfull tool. The layers to paint and sculpt are very intuitive and useful, especially in the paint allow you to not needing to go through photoshop, this speeding up the workflow and good import/export to 16-bit Photoshop files. What is not yet nn you can achieve in this software, is the lightness and the speed, when we reach a high threshold of polygon as in z-brush, have not as good a range of sculpting brushes as ZBrush. Doesn’t support imported mirrored normal maps. Mudbox can be fussy about working with some graphics cards. Mudbox 2015 includes a variety of interesting features. Some of them might be small, but they are very useful. Since the software is sold as part of the Autodesk Suites, you’ll find it is a good complement to Maya or Max. And I think Mudbox could also make a nice “game development” bundle with Maya LT, if Autodesk decided to make a “game development suite” one day. Mudbox is a proprietary computer-based 3D sculpting and painting tool. Currently developed by Autodesk, Mudbox was created by Skymatter, founded by Tibor Madjar, David Cardwell and Andrew Camenisch, former artists of Weta Digital, where it was first used to produce the 2005 Peter Jackson remake of King Kong. These guys made sure the interface was super easy to use, as opposed to the very complicated GUI in ZBrush. I personally get intimidated by the ZBrush interface, which is not laid out intuitively and has a lot of extra features that you may not need to get 'er done. It has very Maya friendly controls, if you're used to that. On the painting side, Mudbox is superior and very easy to use. Since it is an Autodesk product, it has a "Send to Maya" and "Send to 3DS Max" so moving your work back and forth between the 2 products is quick and seamless. ZBrush over Mudbox, in the opinion of some users, has better brushes and masking features, as compared to Mudbox's freeze tools. Mudbox does not have ZSpheres like ZBrush, which is a quick way to mock up some sculpts. You'll need plenty of RAM for Mudbox because it can get slow as you subdivide. Mudbox is an excellent way to get high detail in to your models by using Displacement and Normal maps, and then applying those to meshes in Maya that have a reasonable poly count. With the manageable poly counts, these models can thus be rigged properly and then usable in animations, rather than just sitting by and admiring the beauty of a 10 million polygon sculpt right out of Mudbox or ZBrush. "A good software for texturing"
I still prefer Zbrush for modeling over Mudbox as it can withstand a higher polycount and for the extensive amount of tools it has. I texture my models inside of mudbox, export to PSD and make my finishing touches in photoshop. I like mudbox a lot for texturing but not at all for modeling, I don't find it easy to work with multiple objects nor to hide or show them. But i love the baking of ambient occlusion, it makes texturing a charm !! "its the best fit tool for 3d sculpting and textureing integrated in the pipeline . " the sculpting layer system its amazing . and the texture tools are very good , its stable and have nice integration between maya and 3d studio max by FBX extension . the vector displacement map is the best Setting up your model for PTEX texture painting is pretty easy, and it only takes a couple of clicks. You just need to decide on the texel resolution you plan to use. Mudbox includes a variety of interesting features. Since the software is sold as part of the Autodesk Suites, you’ll find it is a good complement to Maya or Max. sculpting and texturing characters and environments for production . "very powerful modeling in 3d"
It is a good tool for sculpting as it has the option to do so through a stencil. It has some flaws as when one makes the normal maps that the program sometimes stumbles and one has to go back again to restart. I would recommend because when you install the package Autodesk has the option to include it. I was used to sculpt and paint my character that belongs to a prototype video game. The advantage one can bring mapping 3d character Max Mudbox for modeling and retouch your painting to perform. "A great alternative to ZBrush"
Beautiful camera system for creating detail passes / shots of your sculpts. While it has a robust set of brushes, it does not feel as intuitive as ZBrush, causing some workflow and behavioral adjustments if you learned on other software. It's a great alternative to ZBrush for those who prefer suite integration similar to that of the Adobe Creative Suite. If this comes as part of your subscription or licensing agreement with Autodesk, you'd be perfectly content using mudbox for your sculpting needs. Normal mapping and intricate details on video game characters. The ability to rapidly increase the detail of base models from 3ds max has added an extra dimension of quality to our products. "A little complex to learn along side maya but very powerful when used correctly"
The seamless creative freedom the tools provide and realistic feel of materials as their sculpted, shaped, and crafted. I'd recommend the combination of Maya and mudbox to others but I may be bias on the issue as the only comparisons I've tried are 3D Studio max, Rhyno and blender which from what I understand, arent quite on the level of Mudbox or Zbrush. While building my business, I've realised the accessibility of 3D printing and would like to be able to adapt my skills appropriately. "Mudbox has been really great for me to texture and sculpt." I like how the paint layers work similar to those in photoshop and how easy it is to use the sculpting tools. I dislike that some of the sculpt tools don't really work as effectively as I would like. I wish though that I could sculpt in mudbox when I have dual screens. Painting in mudbox has been much faster than trying to paint textures in photoshop and is easier to see where the textures are going as well. "A quick and good tool to make texture"
"Pretty good but it is still not as good as zBrush, Mudbox is more of a complimentary product." Simplicity and ability to reach great results quickly and mostly the ease of integration with other Autodesk packages. Hard to reach complex results as a standalone product. Modeling and selling on 3D markets. Mudbox is meant to be an alternative to Pixologic Zbrush, as such it does most of the same things, just differently. Mudbox has a much easier to use interface and has some better paint tools. Mudbox does not have Zbrush's dynamesh system, as such, its sculpting capabilities do not come close to Zbrush. "Basic experience as a Student"
stencils and brushes in Mudbox are the most intresting features this software has for modeling. retopoligising the mesh for character modeling is not easy yet. joint system, and rigging in order to pose your character is still requires improvements. Rigging and skeleton tool not effective. Creation of bump maps and displacement maps. Easy to export them. Some of the tools seem limited and required to integrate with other software, so the exporting and importing is a bit of a time loss. A good basic tool for 3D sculpting, especially for those with a creative, non-analytic workflow. "A fantastic product for beginners with an intuitive interface still leaves something to be desired"
I would recommend with product to others interested in modelling/sculpting with a beginner background. PTEX, A superior layer painting system and Vector Displacement Brushes are large benefits. But using Mudbox regularly would cause the user to reach a plateau very quickly - causing issues in versatility in creating 3D modelling solutions. * We monitor all Mudbox reviews to prevent fraudulent reviews and keep review quality high. We do not post reviews by company employees or direct competitors. Validated reviews require the user to submit a screenshot of the product containing their user ID, in order to verify a user is an actual user of the product. Hi there! Are you looking to implement a solution like Mudbox?